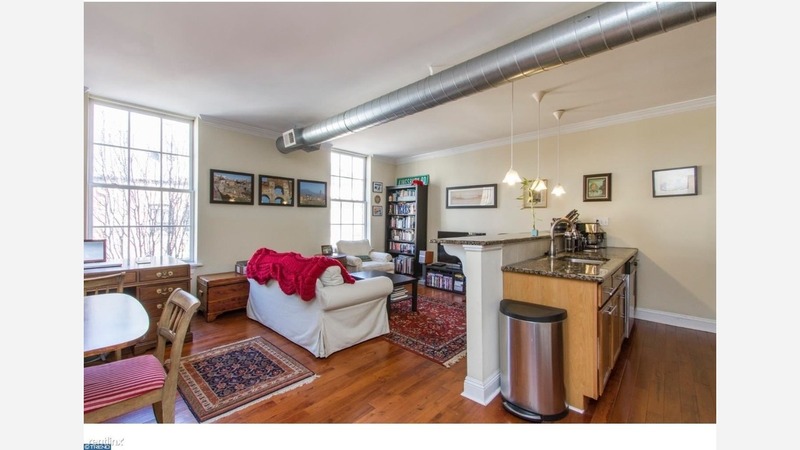 What will $1,700 rent you in Rittenhouse? According to Walk Score, this Philadelphia neighborhood is a "walker's paradise," is great for biking and has excellent transit. Data from rental site Zumper shows that the median rent for a one bedroom in Rittenhouse is currently hovering around $1,600. Listed at $1,700/month, this one-bedroom, one-bathroom unit is located at 1716 Pine St. In the apartment, you can expect a dishwasher, in-unit laundry, hardwood floors, a breakfast bar, stainless steel appliances, granite countertops and recessed lighting. Pet owners, inquire elsewhere: this spot doesn't allow cats or dogs. Additional storage space is offered as a building amenity. Next, there's this one-bedroom, one-bathroom unit over at 1734 Spruce St. It's listed for $1,695/month. Building amenities include on-site laundry. In the unit, there are hardwood floors, high ceilings, a dishwasher, a decorative fireplace, a balcony, a spiral staircase and exposed brick. Pet owners, take heed: cats and dogs are permitted. Here's a one-bedroom, one-bathroom unit at 2127 Walnut St. that's also going for $1,695/month. In the apartment, you'll get high ceilings, a dishwasher, hardwood floors, generous closet space and ample natural light. When it comes to building amenities, anticipate on-site laundry and secured entry. Both cats and dogs are welcome. Located at 1411 Walnut St., here's a 658-square-foot one-bedroom, one-bathroom apartment that's listed for $1,650/month. In the unit, you can expect hardwood floors, a dishwasher, closet space, in-unit laundry and ample natural light. Neither cats nor dogs are welcome. The building offers a fitness center and bike storage.